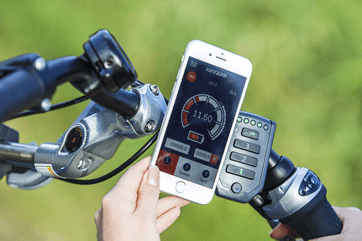 Are you interested in Van Raam bikes and want to make a free test ride? Feel free to make an appointment and get personal and tailored advice! A proud family company with over a century of experience! Van Raam ensures high-quality end products and therefore we can guarantee our customers years of cycling pleasure. 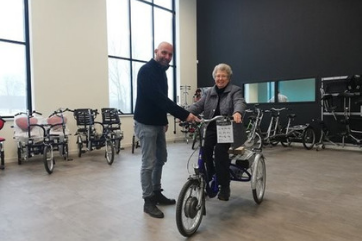 Custom made bicycles for both adults and children are developed and built by more than 130 employees in a modern factory in Varsseveld. 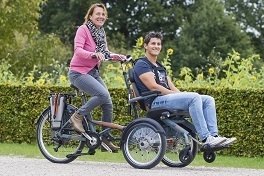 All Van Raam bikes have an optimal sitting position and have quiet, stable and pleasant riding characteristics for the rider or passenger. 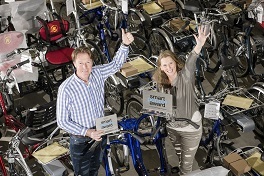 Van Raam is world market leader in her specialization and a real example for social innovation and smart-industry. 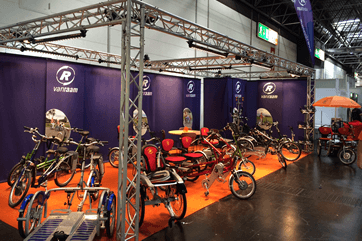 Van Raam is present at various trade shows, both at home and abroad. "Last Sunday we made our 'maiden voyage' with 20 degrees Celsius !!! 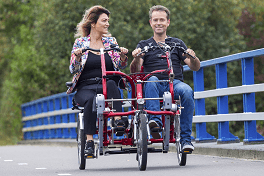 We hope that we can enjoy this beautiful cargo bike from Van Raam throughout the summer."